Discussions are ongoing with Savills (Hanover’s project managers) and PTEa (our architects). 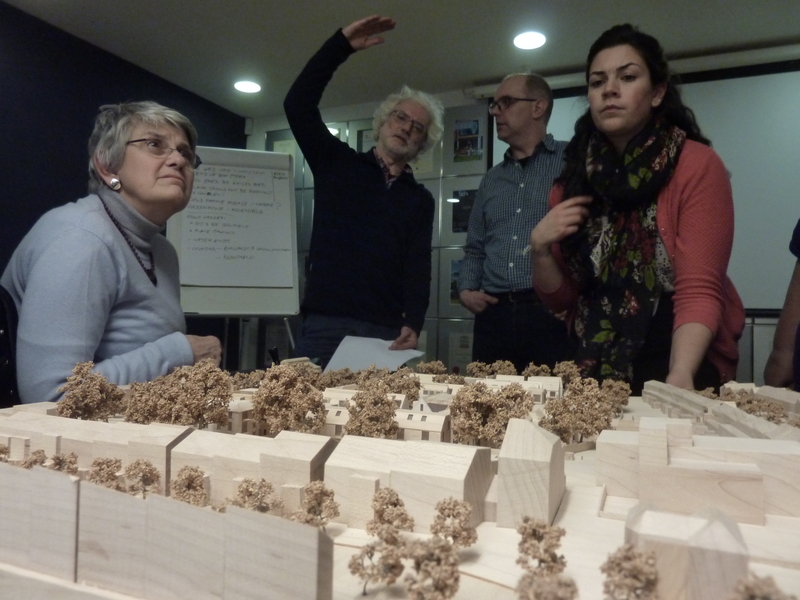 At the end of February, members took part in a workshop with landscape architect Farrer Huxley. The Cohousing Woodside gardens will have its own distinct character (one of five ‘characters’ within the St Luke’s site). The central courtyard will be semi-formal and more ‘showy’ in nature. Our rear garden will have allotment style raised beds, a plunge dept reservoir connected to the site’s SuDS (Sustainable Drainage System). Espaliered fruit trees will characterise the plantings for both gardens, which should be highly productive once in fruit. Our next meeting for visitors will be on Sunday March 16. Interested visitors are reminded that price terms are subject to review every 6 months, which should encourage the uncertain to take the plunge and seek to join as full members. Now is also the time when members can still have some influence on what goes into our scheme – this will be fixed once contracts with a developer are concluded. Our latest Development Plan, issue 5, is now on this website. Issue 6 will follow in late April after further meetings with Savills.